The more witty crosswords that just keep you on your toes is the US Crossword Puzzles. The answers range from abbreviation to urban vocabulary. As a solver, solving the US Crossword Puzzle is quite different from the British ones as the possibilities are not restricted. The constructors of these Puzzles in a way that the answers just don’t stick to the dictionary. The grid is different as well with fewer black squares. It takes the solvers on an journey of obscure thrills. We have tried and tested all the crossword puzzles to present you with the best ones available in the country! 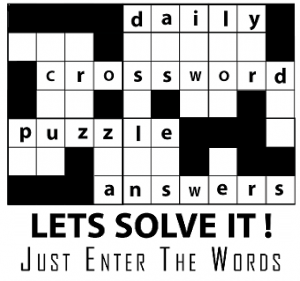 An easy to solve crossword puzzle that might fit in your coffee break is the Daily American’s Crossword Puzzle. The online portal lets you have an access to all the archived crosswords with timer and individual leadership boards to track your speed while keeping your competitors close. You can save partially completed puzzles for later. All the crosswords are printable. A true rush for the crossword maniac, The Newsday’s daily puzzles are a progressive puzzles i.e., they tend to get difficult as the week progresses. You can always put aside a puzzle when you cannot finish it and come back at it when ready. The clues are always current and are focused around a time relevant theme. The USA Today, the newspaper that is considered to be America’s No. 1 Newspaper provides two kinds of crossword puzzles, a Daily Crossword puzzle of 15 x 15 grid and a fast play Quick Cross crossword puzzle of 4 x 4 grid. You can download these puzzles from its archive of hundred of puzzles. Daily Puzzles get challenging as the week progresses and has an leadership board as well. They have an easy to use and engaging interface. The first newspaper to bring crossword to US is the NYTimes. All among their thousands of archived puzzles are considered to be classic and have a different constructor for every puzzle. They provide a free subscription for a month and later charge. NYTimes crossword puzzles are considered to be the toughest in the country and has a huge following. The most unique quality that differentiates Wall Street Journal’s Crossword from any other crossword puzzle is that they run a contest. The solver is challenged to find out a hidden word or phrase and where or what it is. It might seem difficult at first but one can easily get a hang of it in a while.